As the sun’s rays warm the north shoreline of coveted Hamer Bay on Lake Joseph, waves lap gently against the extensive cedar dock. Along the shoreline and further up on sturdy bedrock, old pines sway slightly in the breeze. This is the place the Churchman family loves. For years, they cottaged in a cosy Pan-Abode structure that became a repository of happy memories and offered the promise of more to come, but as Mary and Jeff’s children grew into adults and were starting their own families, the charming cottage began showing its age and little issues became problematic. 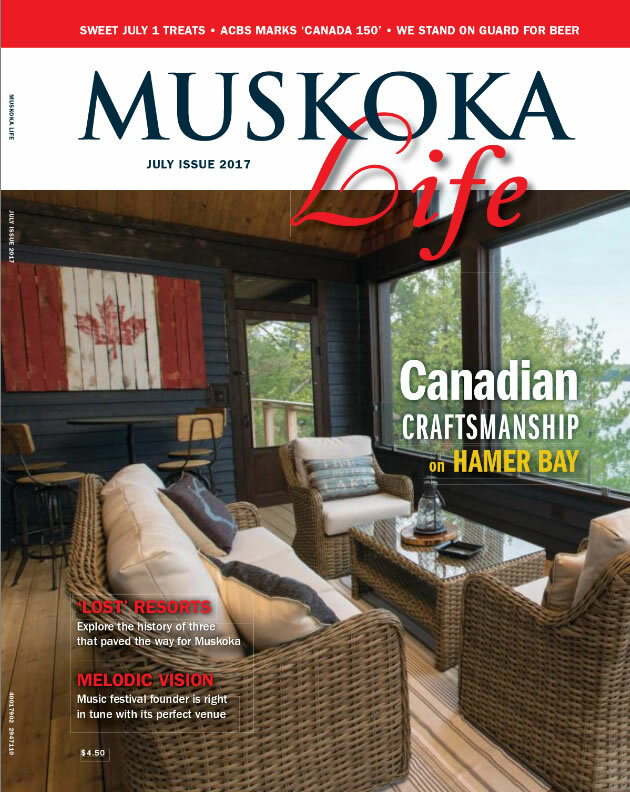 After one spring of intense flooding on the lake and an icy mess in their basement, they knew it was time to rebuild and create a cottage that met their family’s changing needs.